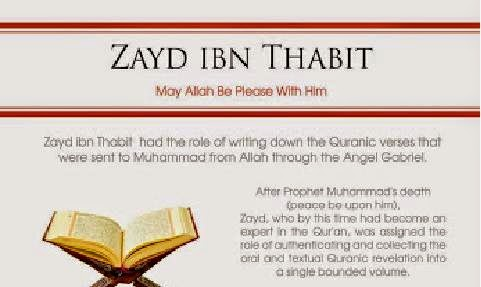 THE COMPANION: Zaid bin Thabit RA - The Quran Compiler is a Versatile Jihadist. Zaid bin Thabit RA - The Quran Compiler is a Versatile Jihadist. Zaid bin Thabit RA is one of those famous Sahabah who were considered to be most learned and whose opinions in religious matters carry much weight. He was an expert in rules regarding necessary actions. It is said that he was among the top Ulema and Qaris. He was only 11 years old when Nabi SAW emigrated to Madinah Munawwarah. That is why, in spite of his eagerness, he was not allowed to participate in the early battles like Badr, etc. He had lost his father when he was six. When Nabi SAW arrived in Madinah Munawwarah, people brought their children to him to receive his blessing. Zaid RA was also brought to him for the same purpose. He says: "When I was presented to Nabi SAW, he was informed that I had then memorised seventeen surahs of the Qur’aan. In order to test me, he asked me to recite some of these. I recited Surah Qaaf. He rewarded me with his kind words. When writing letters to the Jews outside Madinah Munawwarah, Nabi SAW used to use the services of the local Jews. Once he said to Zaid RA : "I am not satisfied with what the Jews write and read for me. I fear mischief from them in miswriting or misreading, I desire you to learn the Jewish lan- guage." Zaid RA says: "In fifteen days, I mastered Hebrew and after that I started doing all such work for Nabi SAW." According to another Hadith, Zaid RA is reported to have similarly mastered the Syriac language at the command of Nabi SAW . He managed this within the short period of 17 days only. Every great religion in the world has its religious scripture (book). 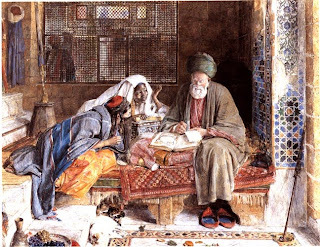 Islam is no exception to the rule, but Islam is different, in a way, from other religions in the sense that its Book has characteristics that Muslims believe are unique to it. 1. Every single word of it was divinely revealed to the Messenger of God; hence it can be rightly called "the Words of God" in the literal sense of the expression. For in Islam there is a clear distinction between the Qur'an (the words of God as revealed verbatim to Prophet Muhammad SAW) on one hand, and the Hadith (the words of Prophet Muhammad SAW or reports of his actions) on the other, a distinction not made in any other religious texts. This accounts for the fact that the verses that begin with the expression "Qul ('Say')" are preserved and recited as they are with that expression. A) It has been memorized by heart in totality by thousands of people from the days of Prophet Muhammad (peace and blessings of Allah be upon him) until today. Many of those people do not even speak the Arabic language of the Qur'an (this alone being miraculous enough if we realize that the Qur'an has more than six thousand verses). B) It was written in totality during the lifetime of Prophet Muhammad SAW (peace and blessings of Allah SWT be upon him), under his direction and supervision, something never done with any other religious scripture. The Qur'an is the only scripture which has served as the constitution for many a government and state throughout Islamic history. These are but a few features that give the Scripture of Islam its unique distinction. The story of the role of Zaid RA begins thus:An-Nawwar, ZaId's widowed mother, asked some of her male relatives to mention to Prophet Muhammad SAW (peace and blessings of Allah be upon him), her son's desire to be closely associated with the Prophet through constant companionship. The men went to the Prophet SAW and said, "O Prophet of Allah, this child of ours knows by heart 17 chapters from the Book, and recites them accurately as they were revealed to you. Besides, he is well versed in the matters of reading and writing. He wishes to be close to you. Listen to him, if you will." The Prophet Muhammad SAW listened to ZaId's recitation, which he found very clear and accurate, revealing that teenager's special linguistic talents. So he ordered him to learn Hebrew in order to facilitate the Prophet's communication with the Jews. Later, ZaId ibn Thabit RA learn Syriac, thus becoming an official interpreter and translator for the Prophet Muhammad SAW (peace and blessings of Allah be upon him). Eventually, our young hero became one of the official scribes of the Prophet (peace and blessings of Allah SWT be upon him) who was called to write the Divine revelations that came to the Prophet SAW from Heaven. This enabled the intelligent Zaid RA to observe the circumstances of the revelations very closely, to become, later, the most important reference in Qur'anic matters after the death of Prophet Muhammad SAW (peace and blessings of Allah be upon him). His deep knowledge of the Qur'an made even the great companions of the Prophet SAW resort to him and show special respect to him, despite the fact that he was much younger than most of them (being only 22 at the death of Prophet Muhammad SAW ). History tells us that `Abdullah ibn `Abbas RA (may Allah be pleased with him, who is very well known for his knowledge of matters of the faith, once saw Zayd ibn Thabit RA about to mount his ride. He went up to help him. 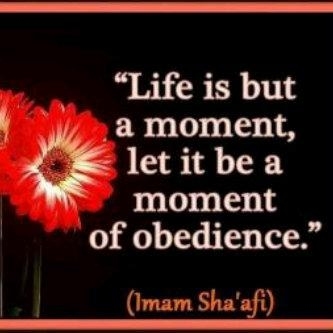 Zaid RA said (out of respect to ibn `Abbas), "Do not bother, O cousin of the Messenger of Allah." Ibn `Abbas said, "Thus have we been instructed to treat our scholars." During the Battle of Yamamah when a large number of the companions of the Prophet SAW (peace and blessings of Allah be upon him) who knew the Qur'an by heart were killed, `Umar ibn Al-Khattab RA expressed his great worry that some verses of the Qur'an known to some companions might be forgotten due to the death of those companions. So he suggested to Abu Bakr RA to have the Qur'an collected and compiled. Abu Bakr RA was hesitant in the beginning, because as he said, "This is something not done by the Prophet SAW." However, he was later convinced of the necessity of the matter, because in the lifetime of the Prophet SAW there was no need for such an action, since the source and conveyor of the revelation was living amongst them. The Caliph found that Zaid ibn Thabit RA was the man for the job. Thus he addressed Zaid RA (may Allah be pleased with him): "You are a young man who is wise and trustworthy. And you used to write the revelation for the Prophet, collect the Qur'an and compile it." Zaid RA reports, "I swear to God that had they asked me to move a mountain, it would have been easier than that task assigned to me." 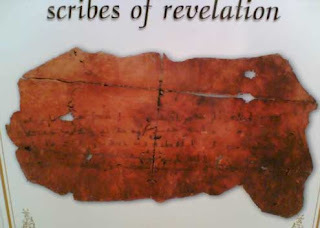 Upon the compilation of the whole Book, it was kept with the Caliph Abu Bakr RA, then his successor `Umar RA, who entrusted it upon his death to his daughter Hafsah RA, a wife of Prophet Muhammad SAW(peace and blessings of Allah be upon him), who was also known for her knowledge of the Qur'an besides being one of the few literate people in the community. In a little while we will look at a few details of the great event of compiling the Book of Islam. But before we start, let me remind our readers that the Qur'an was memorized by many Companions of the Prophet of Islam during his life time. 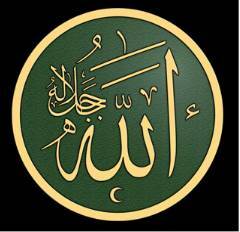 It was also written at his orders by his scribes, of whom Zaid ibn Thabit RA is best known. However, many of those companions were exposed to death, because of the wars between the armies of Islam and those of the apostates (known in Islamic history as "the Wars of Apostasy"). Everyone who knew a portion of the Qur'an came and reported it to be written by the committee. However, the report was not accepted unless it was heard by the reporting companion directly from the mouth of the Prophet SAW himself, and the text was checked with the Prophet SAW in his last year of life. 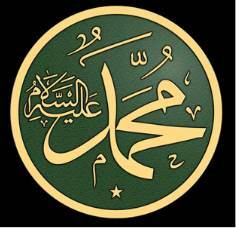 The verses and chapters of the text were written in the order assigned to them by the Prophet SAW. In order to ensure authenticity, no text was accepted unless the person who reported it to the committee brought two witnesses who saw him hear the verses directly from the blessed Prophet's mouth. Through the above meticulous procedure the committee, which was headed by Zaid ibn Thabit RA aided by `Umar ibn Al-Khattab RA, collected the whole text of the Qur'an, which was then preserved and kept by the Caliph Abu Bakr RA. Then, upon his death, by the second Caliph `Umar ibn Al-Khattab RA who entrusted it, upon his death, to his daughter Hafsah RA, as we mentioned earlier. It was the Caliph `Uthman ibn `Affan RA who had the honor of supervising the distribution of the "standard" version of the Qur'an during his reign. Again, the task was assigned to our hero Zaid ibn Thabit RA, aided by a number of reputable companions of the Prophet SAW. We learn from history that the Prophet allowed his followers to recite the Holy Qur'an according to their own dialects. But when the Islamic state expanded, the companions spread all over the newly conquered areas. Each taught the Qur'an the way he pronounced it. This caused some confusion, especially to many new converts who could not understand such differences in pronunciation, however slight they were. People almost started fighting over the corrections of each other's way of reciting certain verses. Then the Caliph `Uthman RA ordered that all other copies be destroyed; thus ensuring the unification of the manner of reciting the Qur'an, to protect the text from being tampered with, and to protect the Muslim community from fighting over different ways of reciting it. 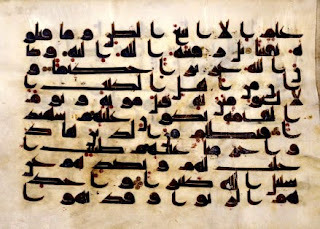 To this day, whenever we open a copy of the Qur'an, we may find the expression "according to the `Uthmani script" in reference to those standard copies made at the order of the Caliph `Uthman ibn `Affan and executed by Zaid ibn Thabit RA, with the aid of a few illustrious companions of the Prophet Muhammad SAW (peace and blessings of Allah be upon him). Zaid ibn Thabit RA – Early Years of Eagerness for Jihad. We are in the second year of the Hijrah. Madinah the city of the Prophet SAW is buzzing with activity as the Muslims prepare for the long march southwards to Badr. The noble Prophet SAW made a final inspection of the first army to be mobilized under his leadership to wage Jihad against those who had tormented the Muslims for many years and who were still bent on putting an end to his mission. A youth, not yet thirteen, walked up to the ranks. He was confident and alert. He held a sword which was as long or possibly slightly longer than his own height. He went up to the Prophet SAW , may God bless him and grant him peace, and said: "I dedicate myself to you, Messenger of God. Permit me to be with you and to fight the enemies of God under your banner." The noble Prophet looked at him with admiration and patted his shoulder with loving tenderness. He commended him for his courage but refused to enlist him because he was still too young. The youth, Zaid ibn Thabit RA turned and walked away, dejected and sad. As he walked, in slow and measured paces, he stuck his sword in the ground as a sign of his disappointment. He was denied the honor of accompanying the Prophet SAW on his first campaign. Behind him was his mother, an-Nawar bint Malik. She felt equally dejected and sad. She had dearly wished to see her young son go with the army of mujahidin and to be with the Prophet SAW at this most critical time. One year later, as preparations were underway for the second encounter with the Quraish which too place at Uhud, a group of Muslim teenagers bearing arms of various kinds - swords, spears, bows and arrows and shields - approached the Prophet SAW. They were seeking to be enlisted in any capacity in the Muslim ranks. Some of them, like Rafi ibn Khadij RA and Samurah ibn Jundub RA, who were strong and well-built for their age and who demonstrated their ability to wrestle and handle weapons, were granted permission by the Prophet to join the Muslim forces. Others like Abdullah the son of Umar RA and Zaid ibn Thabit ra were still considered by the Prophet SAW to be too young and immature to fight. He promised though to consider them for a later campaign. It was only at the Battle of the Ditch when ZaId RA was about sixteen years old that he was at last allowed to bear arms in defense of the Muslim community. Zaid ibn Thabit RA - Early Years of a energetic young men. We are in the second year of the Hijrah. Madinah the city of the Prophet SAW is buzzing with activity as theMuslims prepare for the long march southwards to Badr. The noble Prophet SAW made a final inspection of the first army to be mobilized under his leadership to wage Jihad against those who had tormented the Muslims for many years and who were still bent on putting an end to his mission. 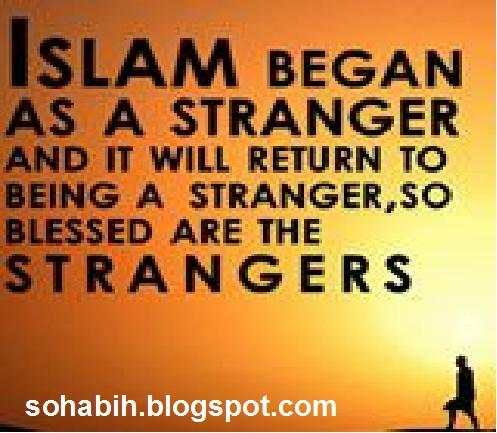 The noble Prophet SAW looked at him with admiration and patted his shoulder with loving tenderness. He commended him for his courage but refused to enlist him because he was still too young. The youth, Zaid ibn Thabit RA turned and walked away, dejected and sad. As he walked, in slow and measured paces, he stuck his sword in the ground as a sign of his disappointment. He was denied the honor of accompanying the Prophet SAW on his first campaign. Behind him was his mother, an-Nawar bint Malik. She felt equally dejected and sad. She had dearly wished to see her young son go with the army of mujahidin and to be with the Prophet SAW at this most critical time. One year later, as preparations were underway for the second encounter with the Quraysh which took place at Uhud, a group of Muslim teenagers bearing arms of various kinds - swords, spears, bows and arrows and shields - approached the Prophet SAW. They were seeking to be enlisted in any capacity in the Muslim ranks. Some of them, like Rafi ibn Khadij RA and Samurah ibn Jundub RA, who were strong and well-built for their age and who demonstrated their ability to wrestle and handle weapons, were granted permission by the Prophet to join the Muslim forces. Others like Abdullah the son of Umar RA and ZaId ibn Thabit RA were still considered by the Prophet SAW to be too young and immature to fight. He promised though to consider them for a later campaign. It was only at the Battle of the Ditch when ZaId RA was about sixteen years old that he was at last allowed to bear arms in defense of the Muslim community. Allah's Apostle allowed the owner of 'Araya to sell the fruits on the trees by means of estimation. In the lifetime of the Prophet (SAW), the people used to trade with fruits. When they cut their date-fruits and the purchasers came to recieve their rights, the sellers would say, 'My dates hace got rotten; they are blighted with disease, they are afflicted with Qusham (a disease which causes the fruit to fall before ripening).' They would go on complaining of defects in their purchases. Allah's Messenger (SAW) said, "Do not sell the fruits before their benefit is evident (i.e., free from all the dangers of being spoiled or blighted), by way of advice for they quarrelled too much." Kharija bin Zaid bin Thabit said that Zaid bin Thabit used not to sell the fruits of his lands till Pleiades appeared and the one could distinguish the yellow fruits from the red (ripe) ones. The Prophet (SAW) permitted selling the dates of the Araya for ready dates by estimating the amount of the former (as they are still on the trees).